When making my purchase I asked the girl serving me if I could buy a spare pair of laces, I was told" we don't sell laces ". 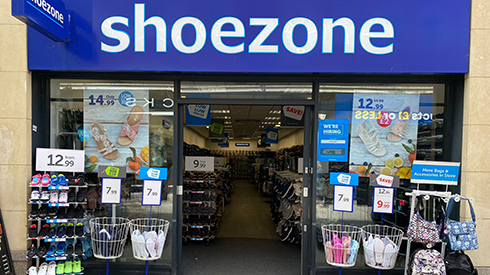 A shoe shop that does not sell laces ?. Perhaps she could not be bothered, perhaps its true and you don't sell laces in your shoe shop. I think you are missing a trick here. The Staff were extremely efficient and willing to help. store as always was fantastic bright and clean issy was helpful and polite, can not fault the store in anyway. the shoes i bought are replacing a pair i had bought less than 8 weeks ago which had already been changed once as the previous pair split after 3 weeks. the current pair split on the seam from shoe to sole and the soles both had cracks in. i don not misuse my shoes as i wear them to work as i am a retail manager. as i said store fantastic, staff brilliant, products rubbish.